A friend’s recent blog post about her hilarious misadventures in making her favorite seasonal drink for gifts, prompted me to think about my own attempts to do the same. While LC’s mulling spices eventually ended up in a pretty little packet inside a stately looking coffee mug with a hand drawn and signed tag attached, mine have never made it off my counter top. It’s probably the one thing in my life that I am supremely selfish about. I came home from my first year of college with a passion for spiced tea. Not the Candy Cane Lane Gingerbread Spice tea bag variety…..although I do have a certain affection for the Celestial Seasonings Sleepytime Tea. 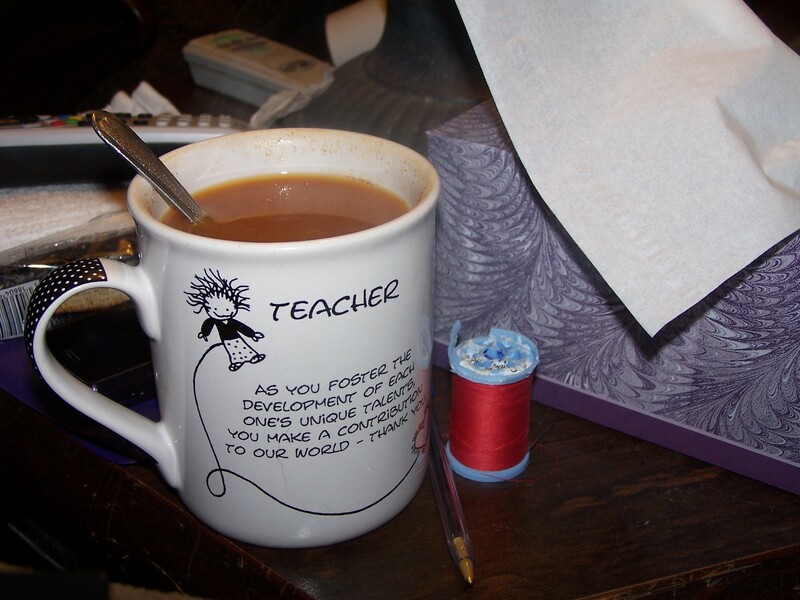 And I do like plain ole Lipton’s tea when I need to ‘warm my core’ on a cold wintry evening. However, my real tea obsession is with the spiced tea concoction we used to whip up in our dorm rooms. Pour a bottle of unsweetened ice tea granules, a cup of sugar, a whole container of instant Tang (the ‘space age’ breakfast drink), a couple tablespoons of cinnamon and a shake or two of ground cloves into a bowl. Mix it all together and beware of the rising dust. Put two heaping spoonfuls in a mug of boiling water and the mere smell with lull you into contentment. Ah…….. I think I did what LC did….once. I mixed a batch and tucked small bags inside a pretty little mug with a ribbon and a tag and gave it away to friends. I think I gave a whole container of it to my sister…….once. But this mix is something that I make once in a great while. Its something that warms my ‘core’ like nothing else does. And as I have aged the sugar has been replaced with Splenda and I look for the decaffeinated unsweetened tea granules. I am not a coffee drinker…. But I can seriously get a little tipsy on this stuff. And get a seriously aggravating headache from the sugar buzz if I drink too much at once. It’s easy to make so I have no idea why it’s so difficult for me to share it. 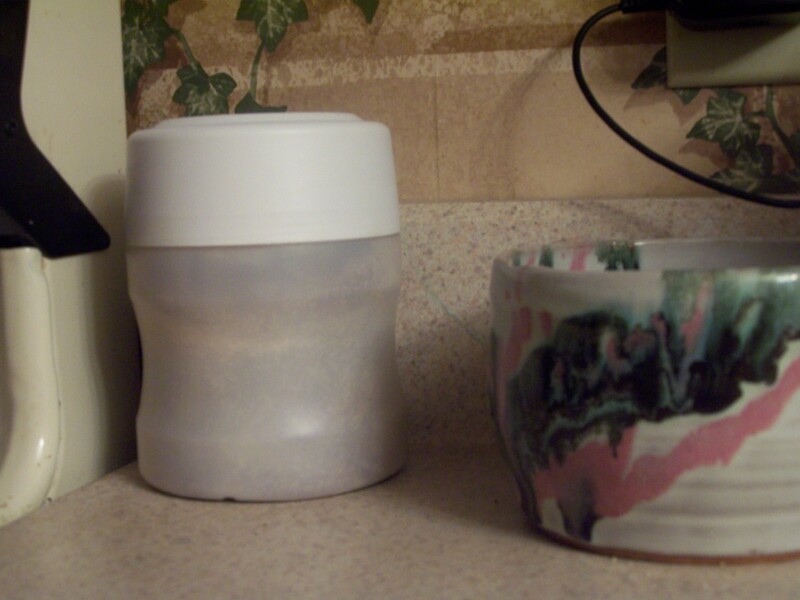 All I know is that if you reach for this unobtrusive container on my countertop…..
……you will – most likely – be taking your life into your own bare hands.